A.B vs. A.K – Broner vs. Khan: who wins? Big stars on opposite sides of the Atlantic, former champs Adrien Broner and Amir Khan both engaged in must-win fights yesterday, and though only one of them actually picked up a win, both fighters came through, keeping their careers alive. Khan wiped out Phil Lo Greco inside 40-seconds, while Broner was forced to work a whole lot harder in being held to a 12-round draw in his fight with Jessie Vargas. Both Khan and Broner had plenty to say after their respective bouts, and both men made it clear they are going to be sticking around the upper echelon of the sport for a little while longer at least. Both former champions have a number of options and fans are already looking forward to the next installment in the Khan story as well as the next chapter in the Broner story. Khan says he wants to give his UK fans big fights in the UK, while Broner may well target a return fight with Vargas. There is, however, another option for both fighters: a fight against each other. Khan actually mentioned Broner’s name after blasting out Lo Greco, saying how he feels he against “The Problem” would be “a good fight at 147.” It would indeed, and the hype, the build-up and the face-offs would be nothing but entertaining. Khan has boxed plenty of times in the US before and maybe would do so again if Broner’s head was the target. Or maybe Broner would enjoy the new challenge of fighting away from home, and boxing in the UK (if the bad boy was successful in obtaining a license to do so). Wherever it took place, a Khan-Broner fight would be an attraction as well as a fun fight/promotion. Both fighters have fans/haters in equal measure and it would be interesting to see who the spectators would root for should these two stars collide, and it would also be interesting to see which fighter would be able to stick to his game-plan, maintain his composure and actually win the fight. Would Khan perhaps become the first man to stop Broner, or would Broner flatten Khan and end his career at top level? Maybe these two entertaining, controversial and outspoken fighters will never actually cross paths, but there would be one big explosion if they did collide. Actually two explosions: one in the ring, the other outside of it, in the run-up to the fight. 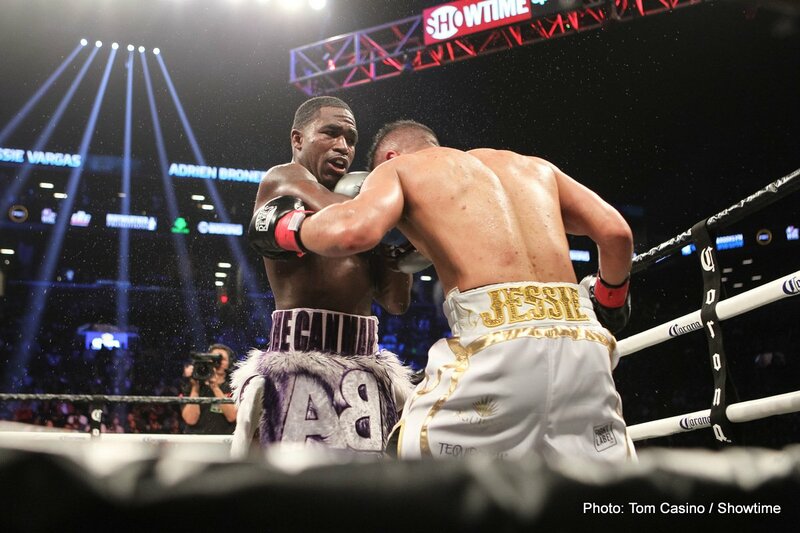 You are here: Home / Boxing News / A.B vs. A.K – Broner vs. Khan: who wins?